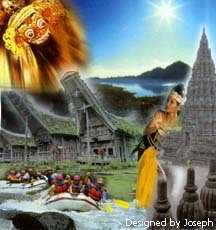 GET YOUR UNBELIEVEABLE EXPERIENCE THROUGH THE "BEAUTIFUL ISLAND OF BALI AND BEYOND". As we are specialized in handling any Hotel Reservation, Tours, Overland Tours, Groups, Incentive, Meetings or any Conventions. Therefore, we are proposing you to save your time, money and to get the convenience with the best quality through our established Travel Agencies.